This weekend has been a typical example of how incredibly diverse and dynamic the music scene is in this town – and I’m only speaking for events/activities I witnessed or was a part of. For today’s post I depart from my usual in-depth-article format and bring to you a brief, breezy, gossip-column style rundown of my weekend. As anybody who’s lived here for any length of time knows, this cornucopia of musical delights is typical of what Nashville has to offer on a regular basis. It’s simply the best town to be a musician or a music lover in, period. Friday evening we stopped by the Jackalope Brewing Company taproom to hear local musicians Laura & Lars and relax with a pint of Thunder Ann. 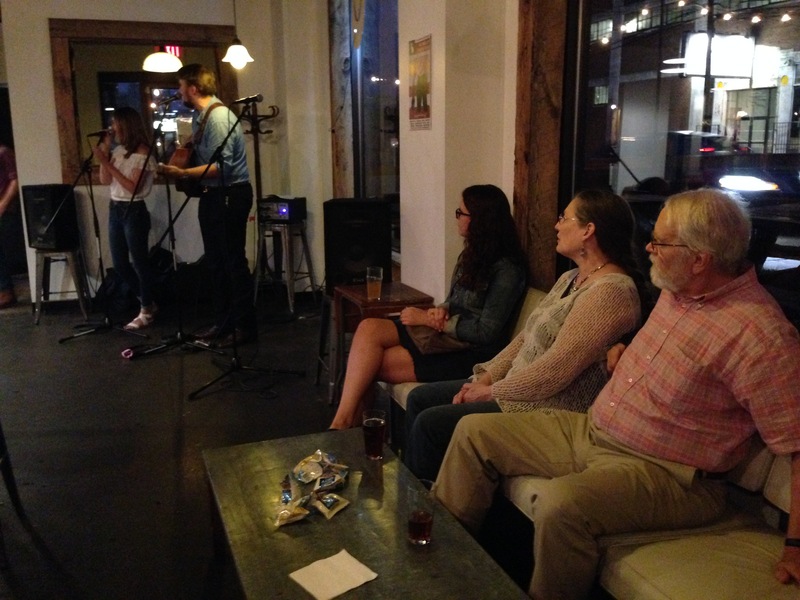 The old time and country music duo were joined by friends for some numbers – and towards the end of their set, by everyone in the taproom! It was an engaging and intimate live music experience with friends in a favorite watering hole – not unusual at all in Nashville. There were probably many other similar events at small clubs all over town, for those who didn’t brave the crowds for Live on the Green. Laura & Lars will be joined by a full band for their performance as The Danville Train at the Nashville Symphony’s 2015 Free Day of Music on October 10. The next morning I headed over to Belmont University to rehearse with Francis Perry, Artistic Director of the upcoming Nashville Early Music Festival, which will be held at Lipscomb University September 25-26. 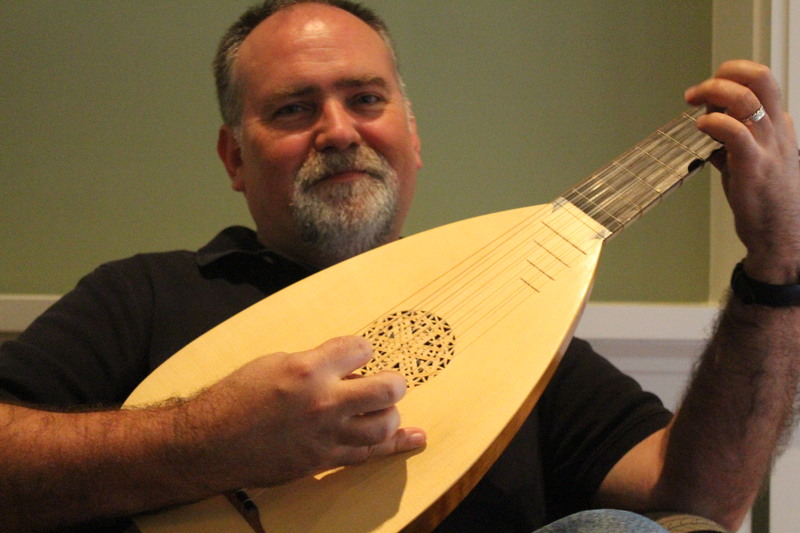 Francis teaches classical guitar at Belmont and performs frequently with Music City Baroque, Nashville’s professional early music ensemble. 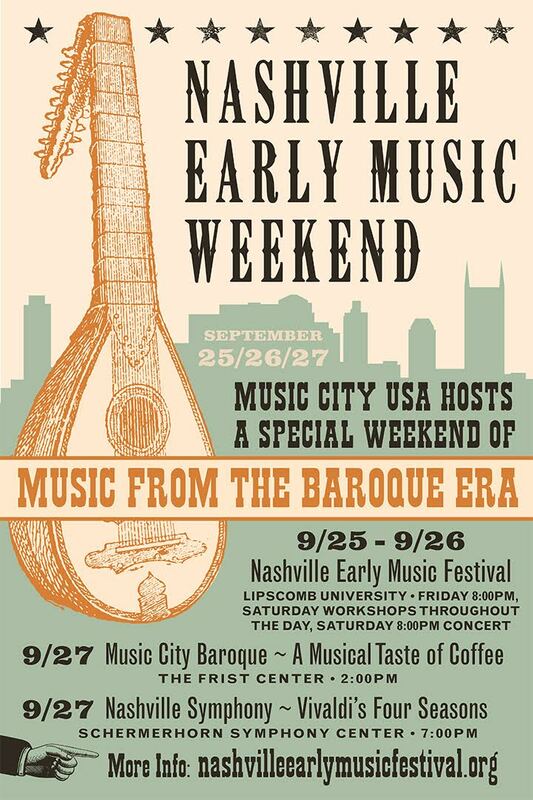 Francis and I are old acquaintances and both play lute, which is not common even in Music City. It’s rare that I get the opportunity to make music with another lutenist, and I immensely enjoyed spending a couple hours on Saturday morning working on the continuo accompaniments we will be providing for soprano Terri Richter on some early 17th century Italian songs for the closing concert of the festival on September 26. 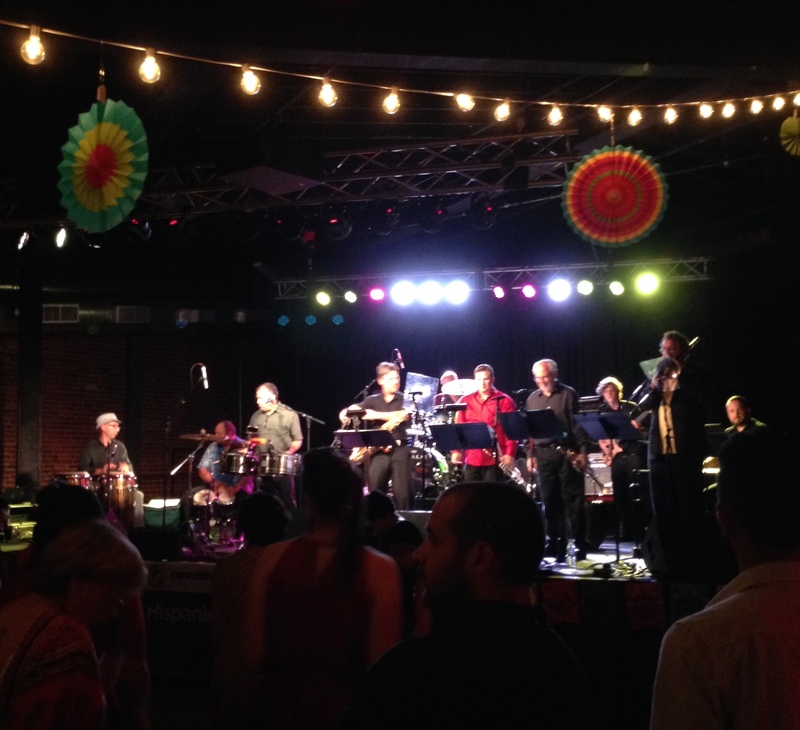 On Saturday night we were thrilled to attend the annual fundraiser for Conexión Américas, #THELATINPARTY, which was held at the Cannery Ballroom. It was a grand entertainment for a packed house, with wonderful food and almost nonstop dancing all night to live music. A kickoff to Hispanic Heritage Month, proceeds from the event support Conexión Américas’ work in our community throughout the year. Rafael Vasquez and The San Rafael Band opened the party, followed by Lalo Davila and Friends (see photo at the top of this post), with a kickass horn section including members of the Nashville Jazz Orchestra. A West African drum ensemble played while the musicians on stage were taking a break at one point. I was reminded (yet again) of how interdependent and intertwined the lives our musicians and musical institutions are in this town, with many musicians leading hybrid careers practicing multiple musical styles. This afternoon I was back at the hall for the final performance of the new season’s opening concert. Schermerhorn Symphony Center was nearly full – for the fourth day in a row – for an emotional program juxtaposing a masterpiece of contemporary American music with one of the most beloved works in the repertoire. For the performance of John Adams’ heart wrenching On the Transmigration of Souls, written as a tribute to the victims of the September 11 terrorist, the Symphony and Music Director Giancarlo Guerrero were joined by the Nashville Symphony Chorus and the Blair Children’s Chorus. The children’s chorus left the choir loft during intermission and the orchestra was joined by soloists for a triumphant performance of Beethoven’s Symphony No. 9. It was the perfect way to end a – not unusually – music-filled weekend in Music City. 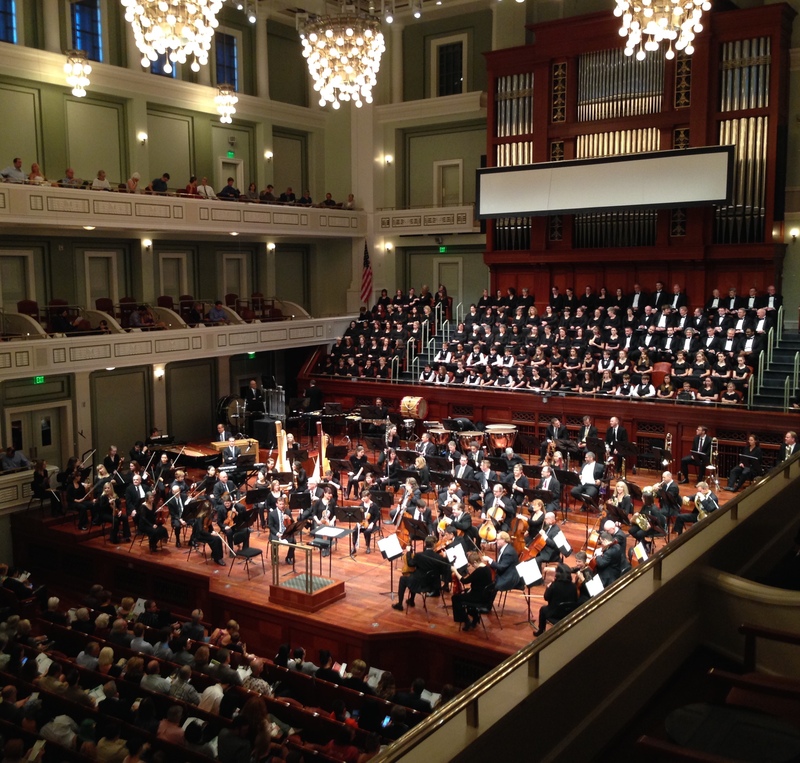 By walterbitner in Baroque, Choral, Community, Music, Nashville Symphony, Orchestral on September 14, 2015 .